Using a brand name mouthwash is a great way to keep your gums healthy and prevent the development of gingivitis, making it an essential part of a standard oral hygiene routine. And when it comes to teaching your children proper oral hygiene, starting early is always good. However, not all mouthwashes are suitable for children, especially mouthwashes that contain alcohol. That’s why it’s important to ensure that you choose the right mouthwash for your child. 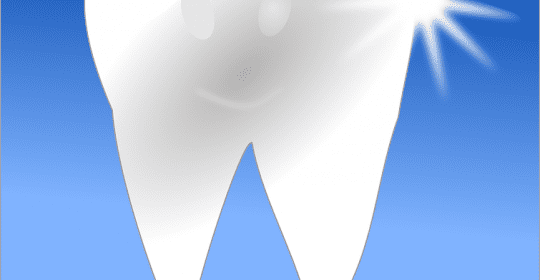 Here’s what you need to know about buying a child-friendly mouthwash. The American Dental Association recommends that children under 6 years of age should completely refrain from using mouthwash. Young children may not have developed the fine motor control and muscle reflexes necessary to properly spit out mouthwash, and children under 6 are very likely to swallow it. Instead of mouthwash, encourage your child to drink lots of water, and make sure your child eats lots of fresh produce like cucumbers and grapes. These and other produce with high water content increase saliva, which helps to keep your child’s mouth clean. Due to the fluoride content in mouthwash, it’s typically recommended that your children refrain from using mouthwash prior to age 7. When you do start teaching your children to use mouthwash, you’ll want to ensure they understand that it’s a rinse, not a beverage. Have your children practice the rinse-and-spit routine with a small amount of water before moving on to mouthwash. When you do start giving your children mouthwash, you’ll want to ensure you give them the proper kind. Many adult mouthwashes are alcohol-based, as alcohol is a strong antimicrobial agent that can kill bacteria in the mouth. 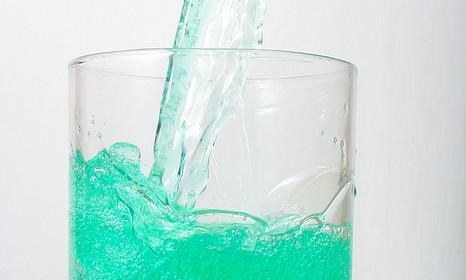 Alcohol-based mouthwash is perfectly safe for use by adults, but can be dangerous for children. Your child will more than likely swallow at least some mouthwash by accident, which can be problematic if the mouthwash contains alcohol. Instead, opt for an alcohol-free mouthwash. Storing your child’s mouthwash properly is essential to ensuring your child uses it safely. When not in use, keep your child’s mouthwash in a locked cupboard or on a high shelf that only you can reach. Young children may not understand how to use mouthwash properly if you’re not beside them showing them how, and they may even believe mouthwash to be a beverage. Keeping your children’s mouthwash out of reach will ensure they don’t accidentally ingest any. When teaching your child how to use mouthwash, make sure you closely observe their behavior to ensure they don’t swallow the mouthwash or use it as a substitute to brushing and flossing. Your child may not like using mouthwash at first. You can make it fun for your children by choosing a fun container. Many children’s mouthwashes come in containers adorned with characters from popular Disney properties, like Olaf from Frozen. If your child likes sports, you can turn using mouthwash into a game by using a stopwatch to see if your child can keep using the mouthwash until the timer goes off. Regularly using mouthwash is one of the best ways to prevent gingivitis and keep your child’s gums healthy. There are lots of child-friendly mouthwashes on the market, and with a little creativity, you can make using mouthwash fun for your child. For more information or to schedule an appointment with Dr. Badie, call Badie Dental at (520) 433-9800.